This project is a critical, rhetorical study of the digital text we call the Internet, in particular the style and figurative surface of its many pages as well as the conceptual, design patterns structuring the content of those same pages. Handa argues that as our lives become increasingly digital, we must consider rhetoric applicable to more than just printed text or to images. Digital analysis demands our acknowledgement of digital fusion, a true merging of analytic skills in many media and dimensions. CDs, DVDs, and an Internet increasingly capable of streaming audio and video prove that literacy today means more than it used to, namely the ability to understand information, however presented. 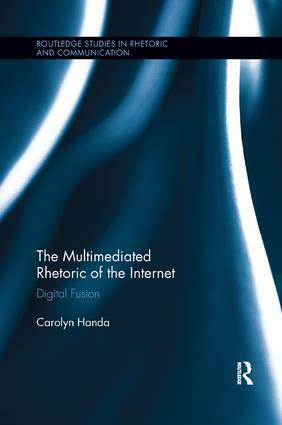 Handa considers pedagogy, professional writing, hypertext theory, rhetorical studies, and composition studies, moving analysis beyond merely "using" the web towards "thinking" rhetorically about its construction and its impact on culture. This book shows how analyzing the web rhetorically helps us to understand the inescapable fact that culture is reflected through all media fused within the parameters of digital technology.